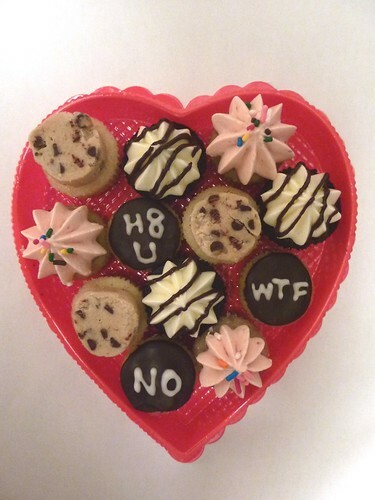 Sourpuss or Sweetheart Mini Cupcakes for Valentine's Day! 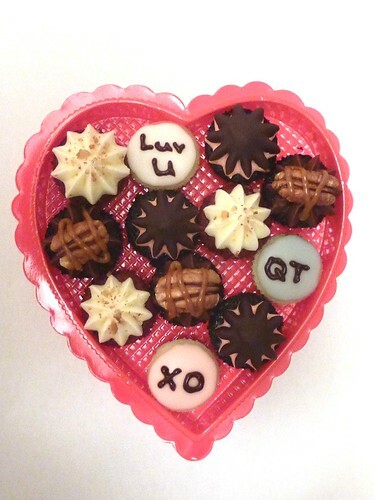 Grace from Cake Lab sent us news of her special Valentine's cupcake packs. I love that you can choose from either Sourpuus or Sweetheart cupcake packs. They are $18/pack. Conversation Dots- champagne cake iced with messages, "Luv U", "XO, and "QT"
CCCD- yellow cake with chocolate chip cookie dough (egg free). Just like that emergency log you hide in the fridge! Conversation Dots- 'bitter' orange with bittersweet chocolate icing messages, "H8 U", "No", and "WTF"
Orders must be place by Thursday, February 10th, for pickup on Monday, February 14. Check out CakeLab etsy shop. Pickup location likely to be Lexington/60th St.